Second Android handset delayed - forever? The Kogan Agora - gone for good? 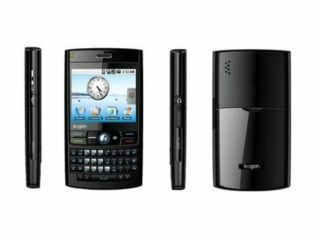 The makers of what was going to be the next 'big' Android-powered device after the G1 appear to have withdrawn the release of the forthcoming handset. The Kogan Agora and Agora Pro were models from Down Under that were supposed to herald the next step in Android use, scheduled to debut this year. But company founder Ruslan Kogan has apparently been forced to delay the release of the new phone, with compatibility issues with future Android applications cited as the reason. Apparently, according to Engadget, the reason is the Agora's screen resolution will struggle with the forthcoming applications, although it would appear to be a pretty massive oversight to use such a substandard display. The news will also likely have come as a shock to Kogan, given that videos of the device were being posted as recently as 7 January. But apparently meetings with bigwigs at Google have forced a rethink, so we'll just have to wait and see whether the Agora will be the next big Android phone, or if one of the bigger names nips in to steal the limelight.